from heavy duty grinding to light duty cutting. Light weight and thin, yet robust strong. Mini size weighing only 7 kg. Can be handled easily by female workers. Holds plates as thin as 5 mm and ensures highly precise drilling. changing the mounting fi xtures. A round magnet is turnable up to 320°. You can drill thin steel sheets by placing backing. 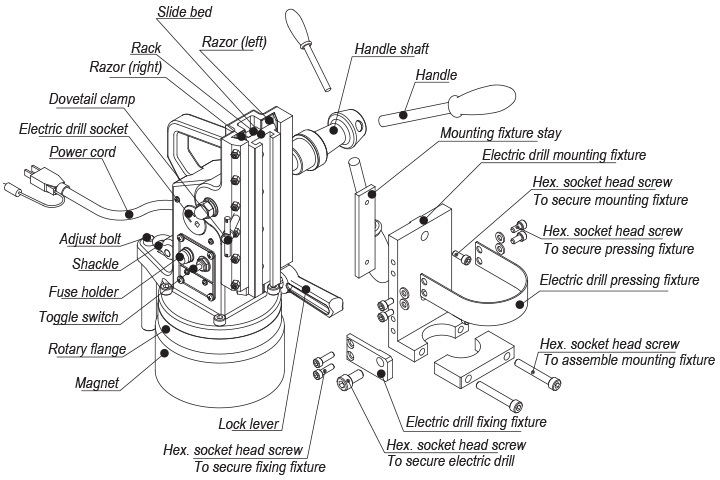 system for grinders to remove iron powder, a major part of purification. repurified and regenerated grinding fl uid can be supplied to grinders again. The magnetic drum rotation drive construction has been modifi ed to improve durability significantly. The squeezing roller tensioning mechanism has been designed anew to improve the squeezing performance. The squeezing roller and inlet areas are covered to enhance safety as well as to prevent grinding fl uid from splashing/scattering. The outlet can be located on the right, left or bottom to allow fl exible change of the circulation system layout. type (MS-FHP: 0.5T (5000G)) are most suitable for collection of weak magnetic and minute sludge. A type having a motor on the right side (MS-F-R) is also available. sintering furnaces, dust collectors and other industrial waste water. 360 t/h and a wide variety of types. Highly economical. concentration (mixture ratio) of rolled scales of 0.02 to 2 mm in grain size. The simple mechanism is likely to cause less trouble. The magnetic effect is unchanging and lasts long. Smooth inflow and outflow of raw water. As a secondary effect, part of oily substances is also removed. 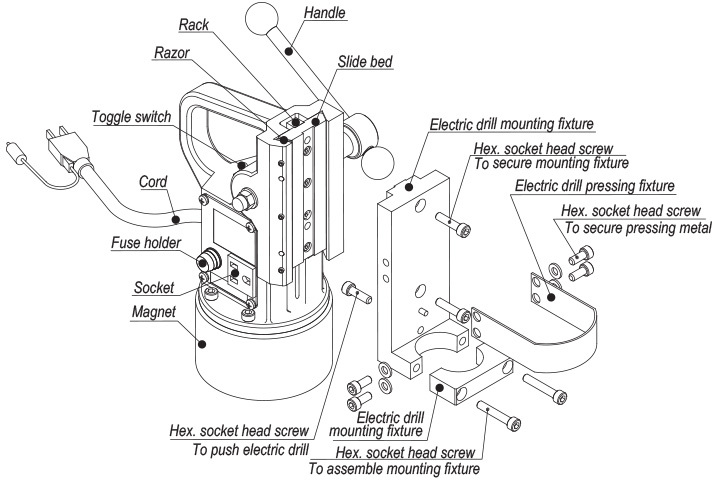 AC power source through which workpieces are passed to remove the magnetism remaining on their surface. Thick workpieces can be demagnetized effectively by passing the front and rear side over the demagnetizer. (since these steels have the property similar to magnetic steel which retains residual magnetism and is hard to remove). These demagnetizers have good heat radiation and can withstand continuous power application. Signifi cant improvement of performance while keeping usability of TM-701! incorporating frequently used functions only. Measurement of residual magnetism in machined workpieces. Measurement of magnetic fl ux density in magnetism-applied products. AC magnetic fl ux density can be measured.